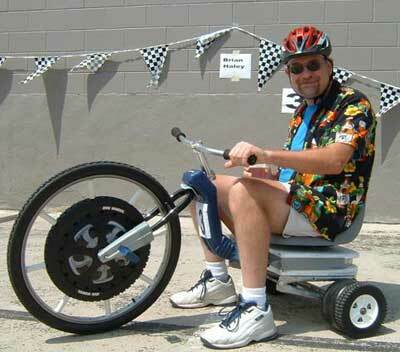 The 26th Almost-Annual Big Wheel Rally is coming up, in Boulder, on Saturday August 25th. During the last critical mass ride, a dude was there on a big, big wheel and it reminded me of all the power-sliding I’d do on my big wheel, way back in the day – I led the big-wheel gang in the neighborhood, knocking off lemonade stands, demanding lunch money for safe passage, that sort of thing (I also had a big Green Machine, which was made just to spin). I’d have to check that delinquent big-wheel past at the Rally, as it’s for fun and benefits Saint Joseph Hospital Foundation.